Registrar of Voters Debbie Waskom will retire in January. Election day is over, and for the most part, things went smoothly, but as with anything there were a few glitches. Registrar of Voters Debbie Waskom said the problem of unregistered voters trying to cast ballots was one issue. “Most don’t realize they aren’t registered. Registering online can only be done through the Geaux Vote app or through the Secretary of State (SOS) office.” Waskom said bogus websites make it look like you are registering to vote, but it is not valid. Through the official sites, those registering will receive a confirmation from the SOS. She advises registering in person at her office or the DMV. “Even with the app or the SOS site, you still have to follow every step and print out a form and send it in or you’re not registered. Beware of the bogus sites, you’re giving your personal information,” she said. “They have everything they need from you to scam you.” She said other legitimate registration sites are public service locations like the food stamp office, Social Security Office or disability office. “Don’t fill out information at remote locations claiming they are helping you register,” Waskom said. She said they received several calls of people arriving at the wrong location to vote. Commissioners called her office and the voter was directed to the correct precinct. Clerk of Court David Stamey said their minor voting issue was that the Kisatchie polling place had some damages to the power pole that services the polling place. “The Sheriff and his staff were able to set up and let us use a generator and small light tower and we were able to operate that polling place without any problems,” he said. “That was the ‘issue’ we faced. The great weather we had and interest in the school board races resulted in a 44.2 percent turnout. It is a little tougher to get enough commissioners on a Tuesday election, but we had plenty of our well-trained and experienced commissioners and commissioners in charge to have a great election.” As far as having problems with the actual voting process, Stamey said, “We often do have people show up at the wrong polling place or because they early voted in other elections and occasionally show up to the courthouse thinking that is their polling place. When that happens we are able to send them to their correct location. The Geauxvote.com app has been a great help in helping voters and commissioners get the voters to their correct location.” Waskom said the majority of those are NSU students who think that since they have registered at their hometown, they can vote here. “Students have lots of options. They can request a ballot up to two months prior to an election,” she said. “They can also fill out a provisional ballot on election day, but that only allows them to vote on federal issues.” Waskom said there was a high rate of party changes prior to the Nov. 6 election. “Statewide about 62 percent changed from democrat to independent and lots of older people whom had never voted registered.” Waskom said there were a large number of people completing change of address cards or party affiliation Tuesday. “They need to understand that the location they voted at Tuesday is the same location they will vote at Dec. 8. That is especially important in the Dist. 2 and Dist. 9 school board runoffs. 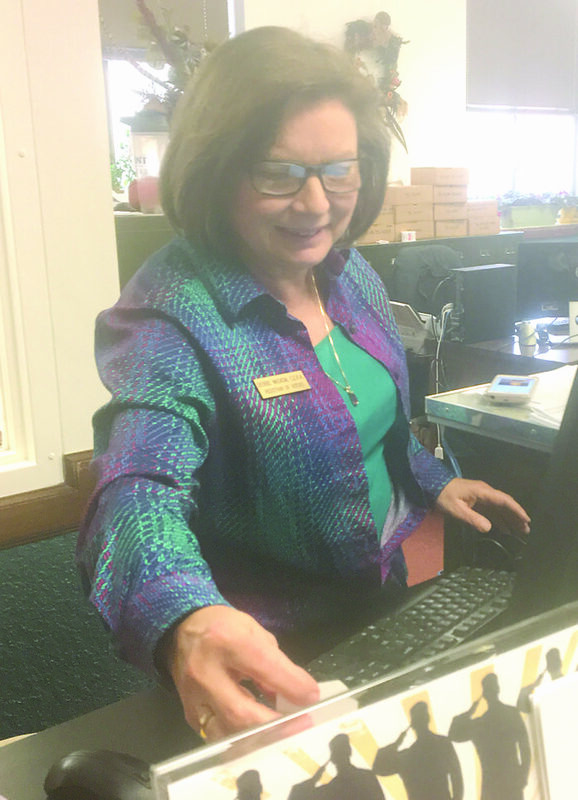 If you voted for a candidate in the primary, you have the right to vote for them in the runoff.” Waskom and Stamey both said they were appreciative of the efforts of the commissioners and the public in what was a busy election day. “We thank you for your interest in voting and your cooperation, especially when there were lines,” Waskom said.